Ampco Pumps Company has raised the bar with the introduction of the ZP Series. 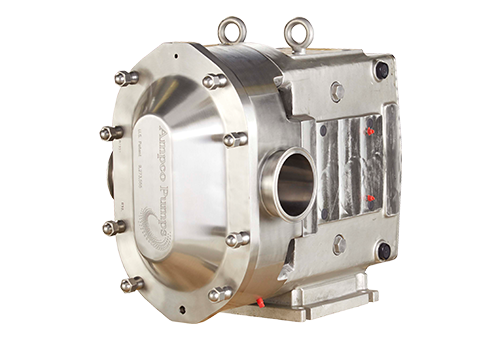 With patented front-loading seal design of the ZP3, these pumps offer a fully CIP'able pump without modifications or loss of efficiency.The front-loading design also allows the seal to be easily maintained or changed, and the newly designed rotor case eliminates all dead zones. Designed for the food, dairy, beverage, brewery, home & personal care, pharmaceutical, biotech, and chemical industries.